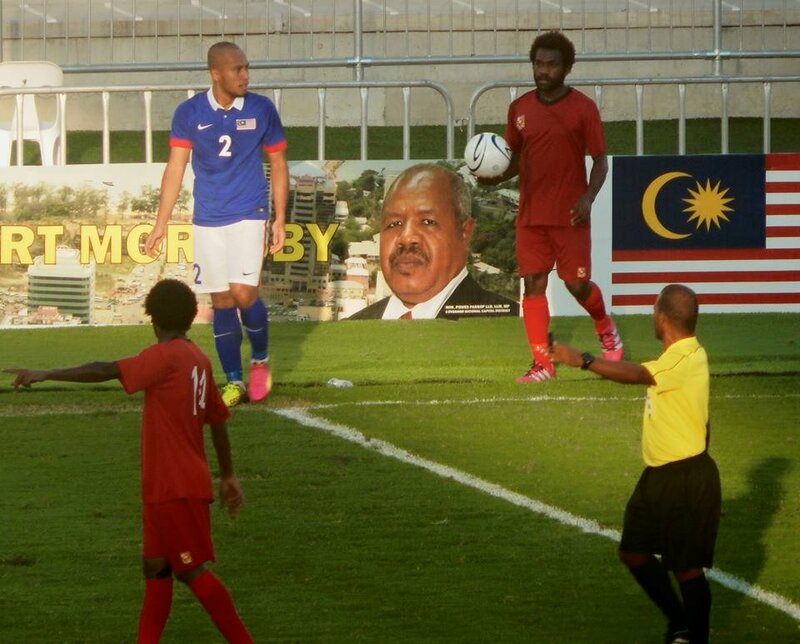 The Papua New Guinea Kapuls have proven to be the better side and still the best team in the Pacific after beating the Malaysian National Football team 2-0 in the International Friendly match this afternoon at the Sir John Guise Stadium. Despite going into the field without the key services of golden striker Raymond Gunemba, midfielder and skipper David Muta and stopper Alwin Komolong, the Koriak Upaiga captained side managed to secure 2 goals in the first half through the boots of PNG’s lethal weapon Tommy Semmy to seal the win at full time. Both teams had equal opportunities in the second half of play but most attempts were far and wide forcing the Malaysian team to remain scoreless till the full time whistle. An attempt by Malaysia almost found the nets but met the cross-bars and was deflected. The Kapuls ball control was better and well coordinated even with a couple of bench players been utilized during the friendly.